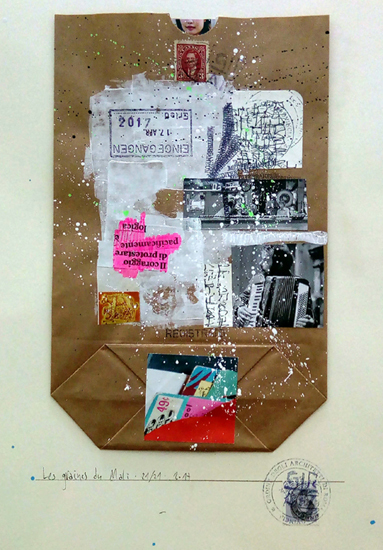 The idea for the seeds of Mali comes explicitly from an invitation by the Menomali association to collaborate in the project of sensibilization and sharing of intent in reference to the mission that Menomali will complete in Mali at the end of April 2017. 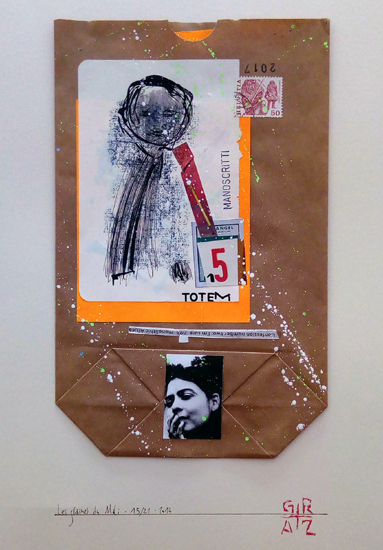 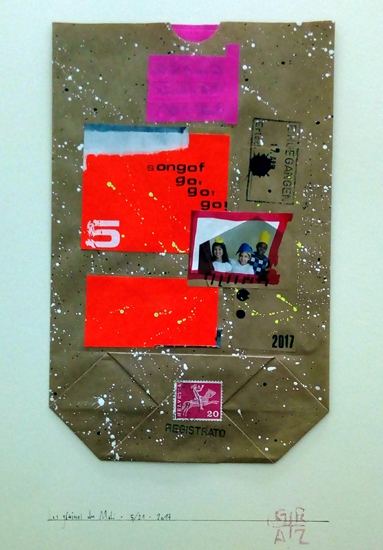 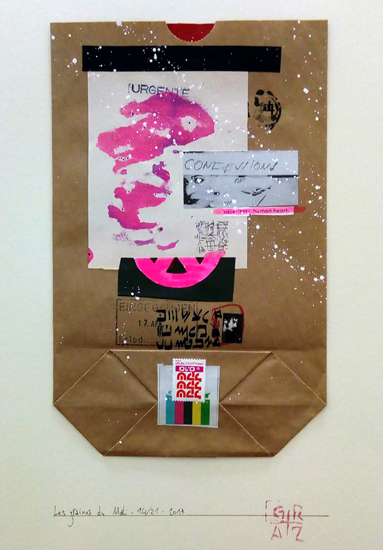 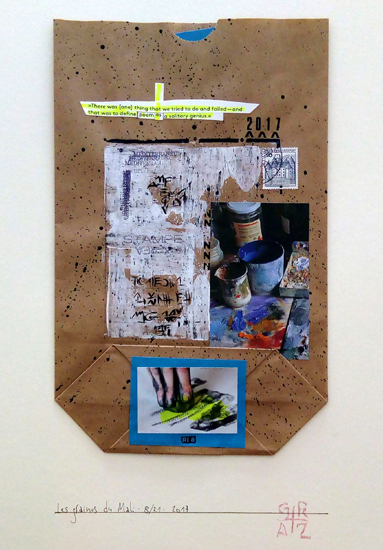 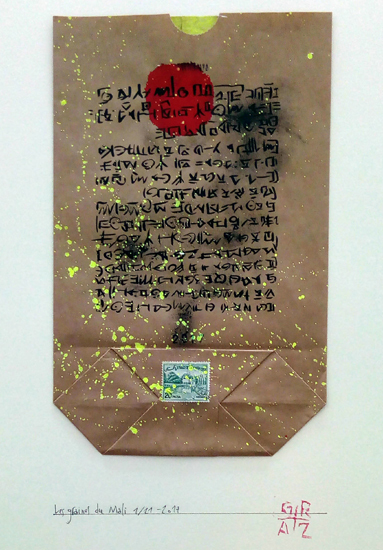 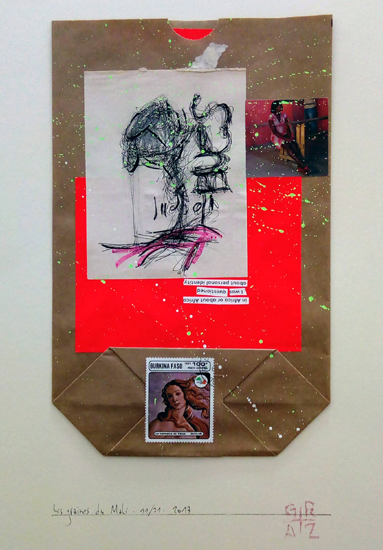 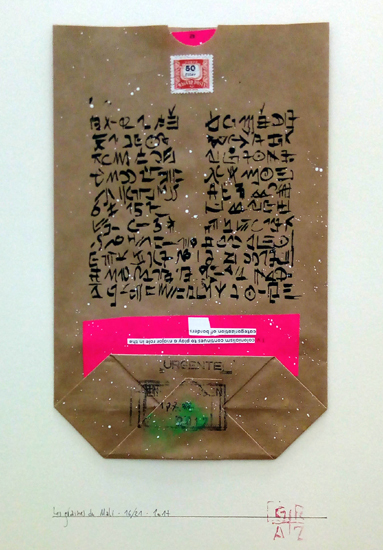 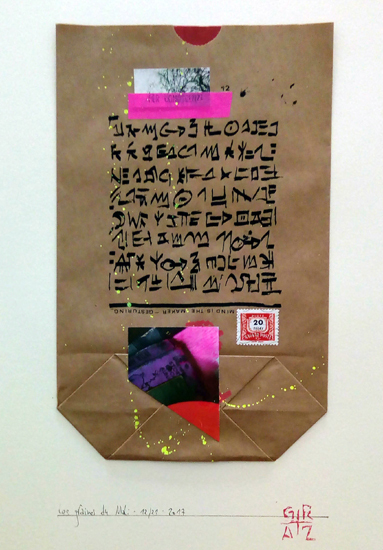 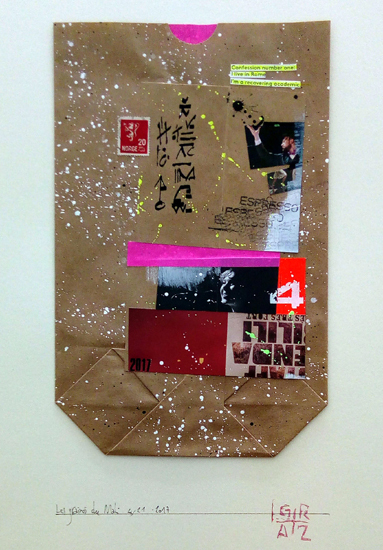 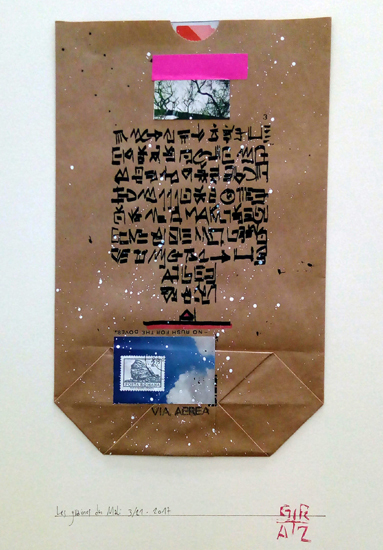 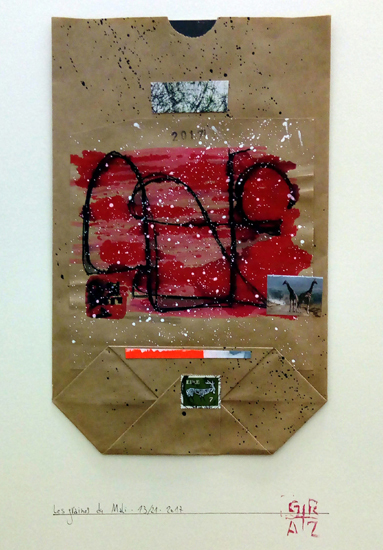 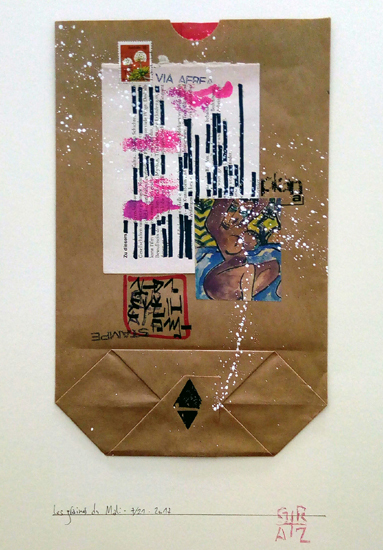 The seeds are a message , composed of 18 works created with the technique of collage, ink, graphite, Acrylic color on recycled paper bags. 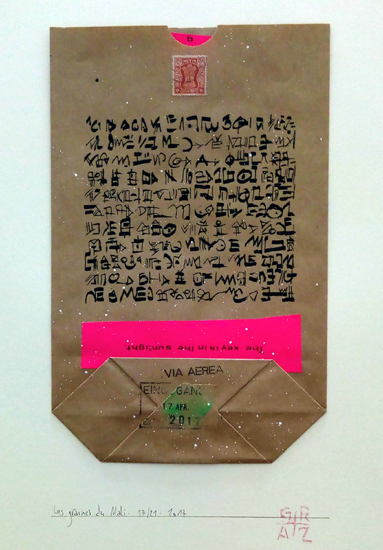 Each envelope is a container of a seed, a word or a sign written by children between the ages of 4 and 10 years in complete freedom and imagination, unaware of the project and of mystifiable concepts such as charity, mission, charity, etc. 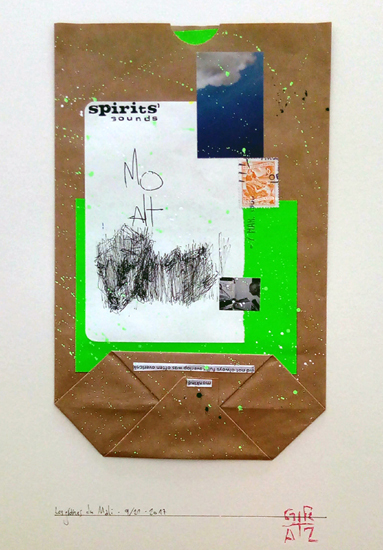 Children know, and can also say without semantic structures. 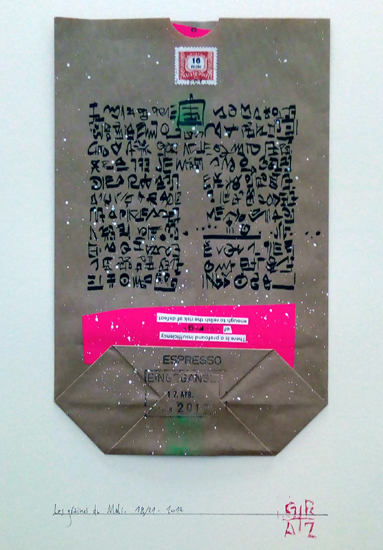 The seeds are so artistic works and messages, perhaps mysterious, but free and vital. 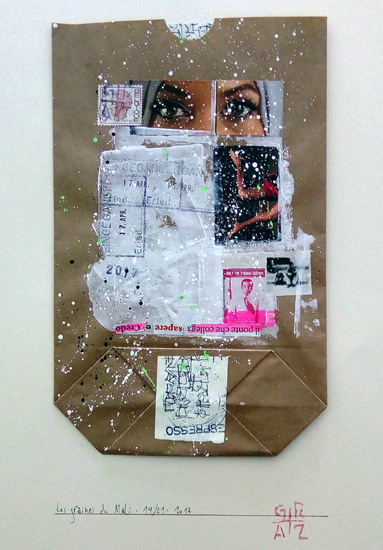 The mesurements of each work are 40 x 30 cm. 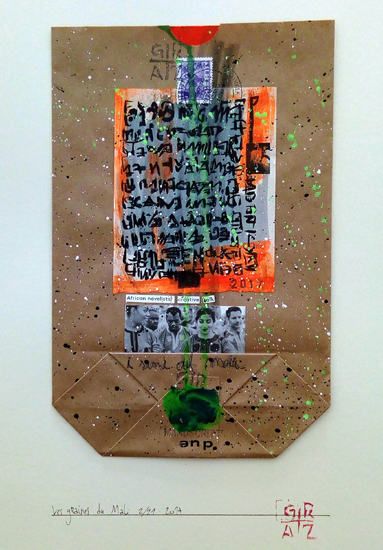 The purchase of each work is not just a contribution to the mission but it is the sharing of what the Menomali boys will do in Mali: Sowing a different possibility to grow together. 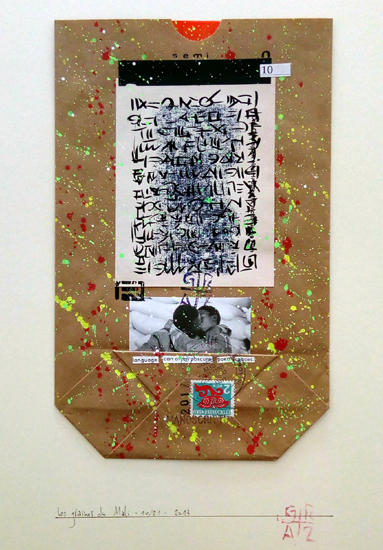 These first 18 seeds will give good fruit only if “sown” together and if received as a gesture of Good Will. 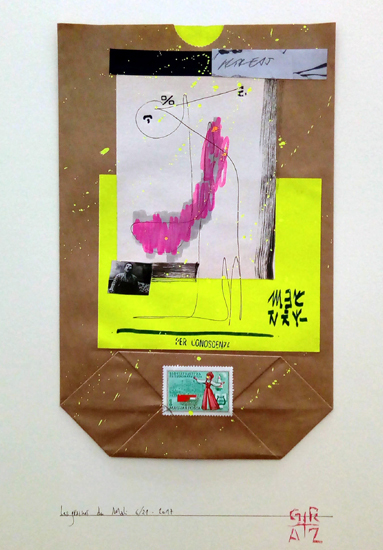 And they are the first gestures of other fruitful collaborations.